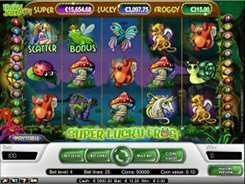 Leprechauns Luck is a progressive slot equipped with 5 reels, 20 fixed bet lines and a standard mix of wilds, scatters and free spins. 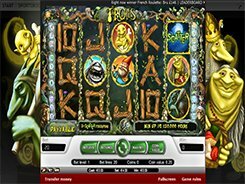 The theme of the slot is centered around Leprechaun, and the symbols include traditional playing card icons, mushrooms, pints of dark beer, harps as well as four feature symbols. 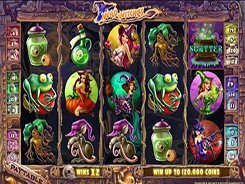 A betting range in this game is $0.2 to $100 per spin. 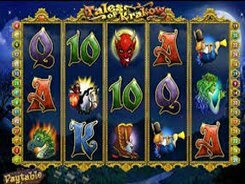 Good news is that you are in with the chance of winning a progressive jackpot making a bet of whatever size, not necessarily the top bet. 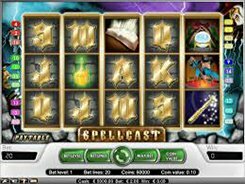 The slot features three scatter symbols. One of the scatters depicted by the Well triggers the Wishing Well bonus feature when it lands on the central reel. In this bonus feature a bucket will be lowered down the well collecting prizes all the way until reaching the bottom. 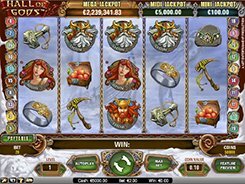 If you are lucky enough, you will find gold at the bottom and become a winner of the progressive jackpot! 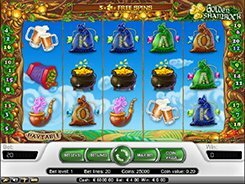 Another scatter represented by Leprechaun triggers a random number of free spins if 3+ Leprechauns appear anywhere in view. Finally, the gold-filled pot symbol activates the Rainbow of Wealth feature where you can get a big bonus payout. PLAY FOR REAL MONEY!